Thanks Barbara, glad you like. Its OK Nigel, thanks for your visit. A comment from Art Mccaffrey is always a pleasure. Thanks a lot for looking in and nice comment. Thank you once again Nandaji. A comment from José is always a pleasure to me. Thanks for looking my friend. Thanks Radovan, glad you like. congratulations on your third editors choice my friend ayan,. my best regards, art,. All has been said Ayan, take the chance to greet and congratulate, Excellent. Beautiful Ayan, just beautiful,the reflection of clouds in the water is amazing. Wonderful light and reflections ! Hermosa captura! impresionante luz. Buen trabajo. Saludos! 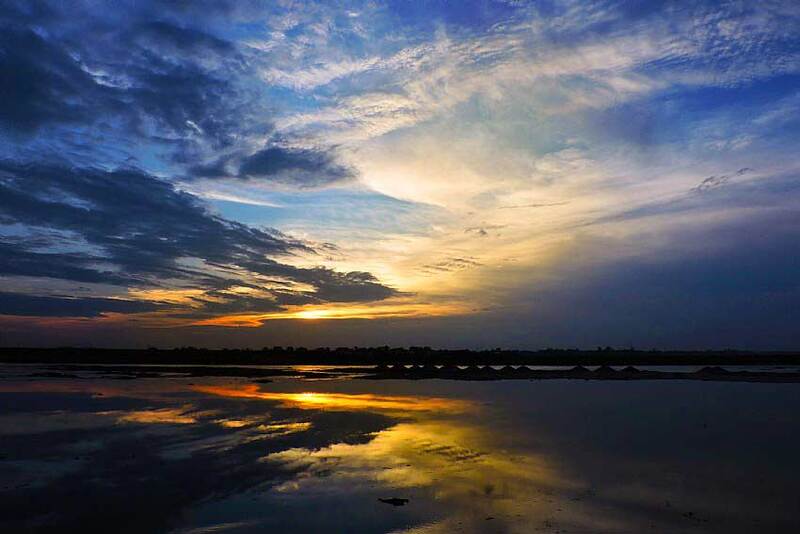 Wonderful monsoon sky and splendid reflection, dear Ayan. I'd change a little balance between blue and orange/yellow. In current variant it's shifted to cold. See possible variant below. Thanks a lot Paul, Glad you like my friend. Thanks a lot Srna, too kind. Its a stunning capture my friend! Lovely colors and hues. Great visual impact. Nicely composed with your horizon line. Such wonderful highlights and shadows Ayan.